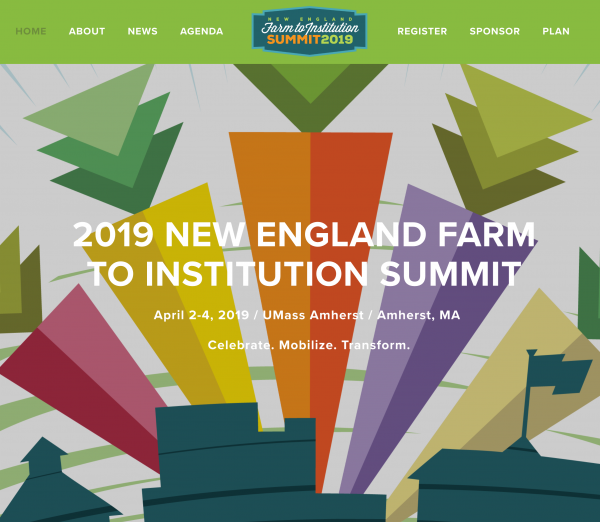 Consider partnering with us by sponsoring the 2019 New England Farm to Institution Summit (#f2isummit)! As a sponsor, you will provide valuable support and leadership to New England’s premier cross-sector conference dedicated to transforming our food system by leveraging the power of our region’s anchor institutions. You can promote your brand and connect with industry leaders, influencers, and decision-makers. Since the first gathering in 2015, the biennial New England Farm to Institution Summit has become a seminal event for stakeholders working to transform our regional food system. More than 500 participants attend the summit, including food service operators, producers, supply chain businesses, advocates, public officials, and others dedicated to this work. We strive to bring together an inclusive and diverse regional network of individuals and entities across all parts of the food system – that’s where you come in! Do you have an innovative idea, a set of best practices, or a policy proposal to share? Has your institution been leading the charge to improve our food system? Are you a student mobilizing your school to support regional producers, protect the environment, and pay food chain workers a fair wage? 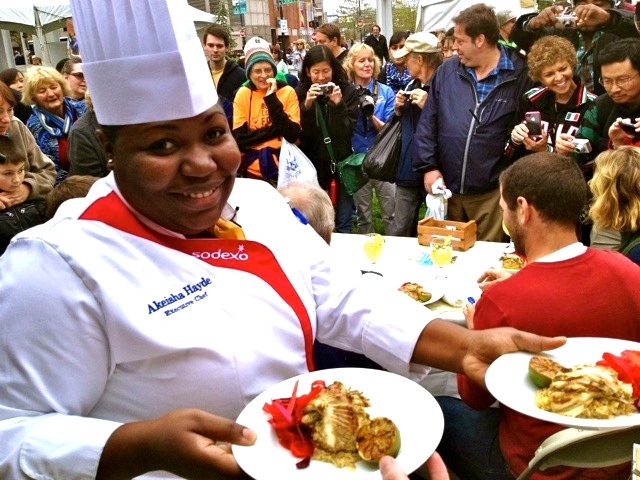 Are you running an institutional dining program while tracking your sustainability impact? Are you a regional producer selling to institutions? Do you want to brainstorm some big solutions with other great food systems practitioners in the region? The #F2iSummit is by-the-network, for-the-network. In these challenging times, it’s more important than ever that we come together to make positive change. You can help make that happen! Join us by submitting a proposal idea that will bring the New England food systems community together to CELEBRATE what we’ve accomplished, MOBILIZE more stakeholders, and TRANSFORM the farm-to-institution supply chain. The request for proposals is open until Friday, Nov. 23rd. To find more information about what we are looking for and how proposals will be reviewed, visit the summit website. 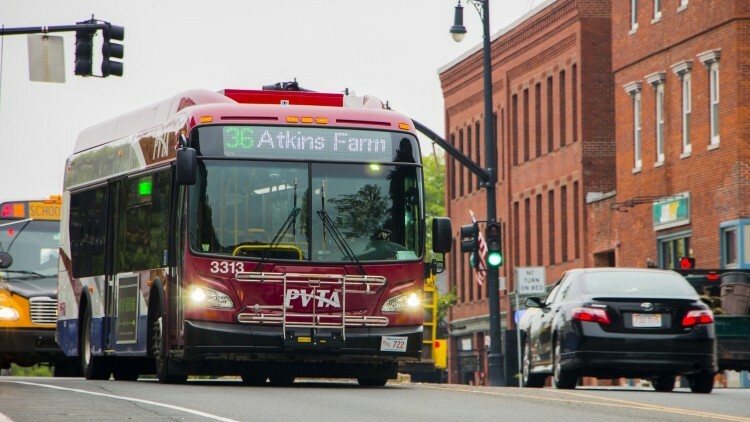 The 2019 New England Farm to Institution Summit will be held at UMass Amherst on April 2-4. 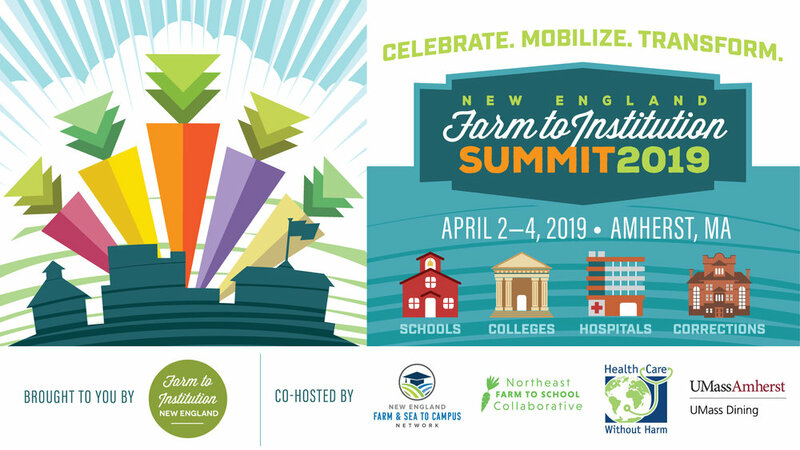 The summit is hosted by FINE in partnership with UMass Amherst, the Northeast Farm to School Collaborative, the New England Farm & Sea to Campus Network, and Health Care Without Harm. We have generous support from the John Merck Fund, Henry P. Kendall Foundation, United States Department of Agriculture, Red’s Best, Food Solutions New England, and UMass Amherst, and we're accepting new sponsors.